Eight months on from what he described as being like a "death in the family" and Eoghan O'Donnell has found closure. Pat Gilroy's departure as Dublin hurling manager is what the Dublin fullback was referencing. "I was probably being a bit extreme," says O'Donnell, speaking at a Bord Gáis Energy event. "I just meant it more in the sense that it was so sudden and we were kind of left with not knowing what to say." That ability to move on has been helped by Gilroy's successor Mattie Kenny. "Mattie has come in and he's excellent," says O'Donnell. 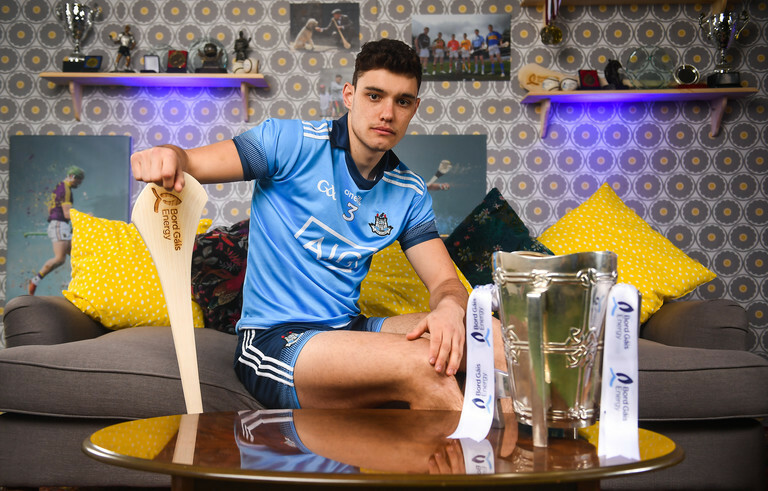 "You can see why he won the two All-Irelands with Cuala. He's obviously brought a very positive framework to our team which is great. "People are enjoying it, which is the main thing. You're coming to training with a smile on and training [sessions] are short and sharp." Dublin head into the championship on the back of a hugely positive league campaign, one which saw them top Division 1B, beat Tipperary in Thurles for the first time since 1946 in the quarter-finals and lose by just three points to an impressive Limerick side in the final four. They also used 32 players during the league. Come next month, those in the matchday squad wearing numbers in the 20s will have experience on which to stand. "You have to block as much of it out as you can because it invites pressure onto you for the next day," says O'Donnell of the praise which has come his side's way in recent weeks. That praise included some specifically for O'Donnell. John Mullane recently called him the "best fullback in the game". The Whitehall Colmcille defender almost blushes when asked about it. It's a matter of keeping the head down in training. The lads would never be short of pulling you up on things, you're not getting a big head in our camp. You know, it's very nice and John Mullane is obviously a legend of the game so it's great to hear. But going out the next day, it doesn't stand for an awful lot when I'm playing against Kilkenny in the championship. I'm around quite a while at this stage. I think this is my sixth year. You have to step up and be one of the more older fellas on the team. That's funny saying at 23 but it's the way the game has gone. You just have to step up and do whatever you can for the team. That's what I've been trying to do lately. O'Donnell's rise has been aided by the form of his own attacking teammates. "Oisin [O'Rourke] is coming back after a couple of years and it's great to see him in because as a minor he was one of the top forwards in Ireland. It's great to see him on that form again. It's a bit of a nightmare marking him in training. "John Hetherton is a big man. It's always a nice challenge to go up against Oisin O'Rourke, who makes these little nippy runs out into space, to Hedger who wants to maul you. It's a good balance, you're prepared for everything. "It's grand because you know whoever you are marking in training, whenever you go out in a championship match, the player is going to be as good. It's the best practice you can get."